Introducing the Clipex® Sheep handler, the best sheep handler on the market. 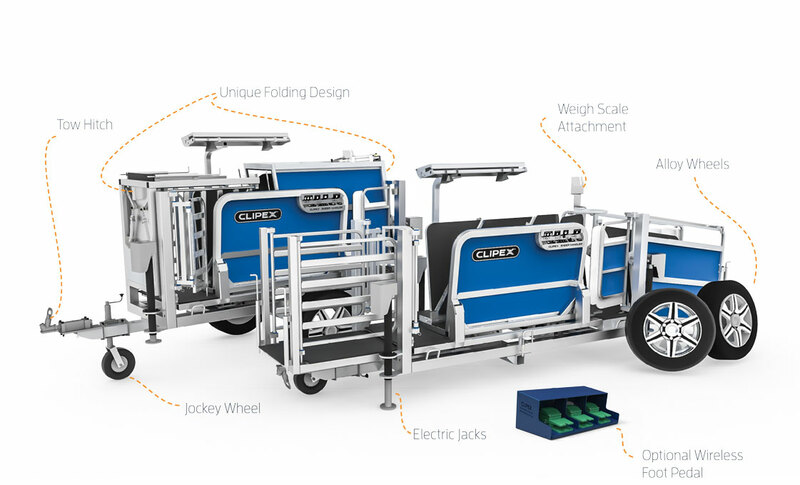 With an uncompromising design, the Clipex® Sheep handler can weigh and draft 800 sheep an hour, handle 300 sheep an hour and crutch 120 sheep an hour* With a full tilt function giving access to the whole animal at a standing height and our patented pre-catch section, the Clipex® Sheep handler revolutionises sheep handling. Available in two models, Fixed or Contractor. 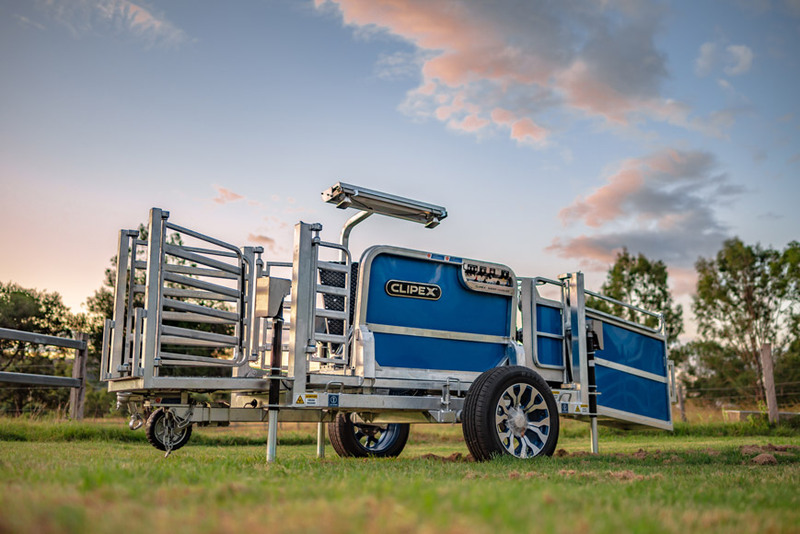 Packed full of features, the Clipex® sheep handler’s compact fold out design gives you three-way fully automatic drafting. With automatic pre-catch and catch functionalities including Iconix load bars, its automated anti-backing technology keeps the sheep moving. The Clipex® sheep handler is an affordable long-term investment that makes simple economic sense backed by up to an optional 5 year warranty and optional service agreement. We have designed this machine from the ground up with patented features to ensure you are getting Australia’s best sheep handler. The Clipex® Sheep Handler has been specifically designed and crafted to be as efficient as possible. Having the “Eye Sensors” above, enable the sensor to the most accurate on the market, keeping them away from the dirt to prevent false readings. The unique patented designs enables automatic drafting of up to 800 sheep an hour. The handler can hold two sheep at once, having one sheep in the catch area and another in the “Pre-Catch” area enabling two sheep to worked on at once. The Clipex® Sheep Handler can catch and tilt the animal near 90 degrees for easier than ever handling! Once tilted the front and rear flaps can be opened enabling access to the whole animal. The Clipex® Sheep Handler includes a 3-way drafter for automatic drafting* Pneumatically operated and silent, drafting has never been this easy! 5-way drafting is also possible with our 5-way drafting package add-on, which can be attached to any Clipex Sheep Handler. *Compatible indicator required. Using state of the art technology, the Clipex® sheep handler is able to Catch, Tilt, Tilt back, Draft and release wirelessly.